This is the second in our series of daily highlights from USCA 2011. The National HIV/AIDS Strategy (NHAS) was featured prominently again in several sessions.Game Changers - Redefining HIVYesterday’s inspiring and thought provoking plenary session challenged the more than 2,500 participants to contemplate how advances in HIV are redefining their roles. 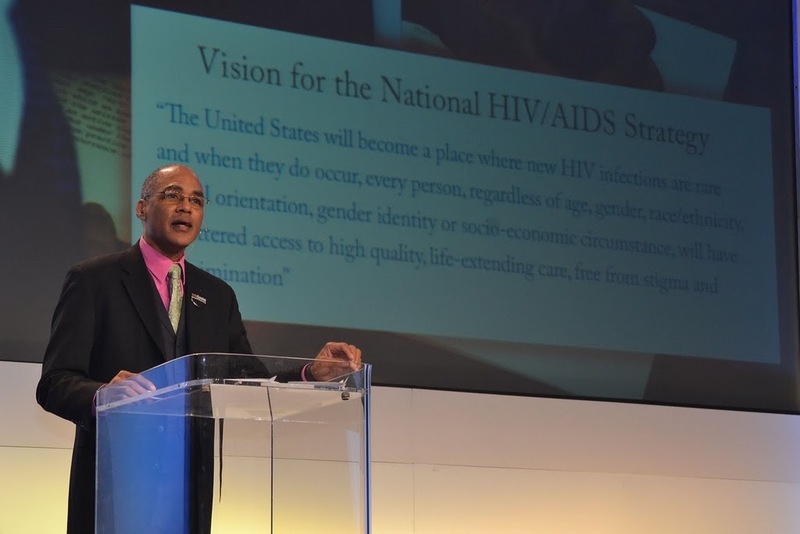 The session opened with a dramatic presentation of the 30-year history of HIV/AIDS in the U.S., highlighting a number of game changers including activism, advances in medication, and Magic Johnson’s announcement that he was HIV positive. Presenters Dr. Calvin Cohen, Director of Research at Community Research Initiative of New England , and Mr. Phill Wilson, Founder/President of The Black AIDS Institute, then shared their perspectives on recent game changers, including the NHAS as well as advances in both HIV prevention and treatment, that hold the potential to shift the course of the epidemic, but demand bold action from the HIV/AIDS community. 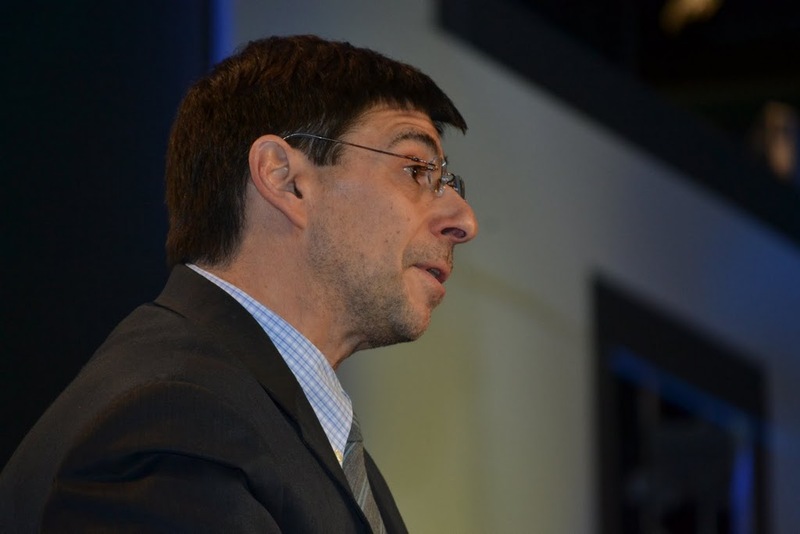 Dr. Cohen reviewed the history of advances in HIV medicine and discussed future directions. These included studies underway to better understand when it is best to start treatment. He noted that the recent HPTN 052 study, showing that early initiation of treatment can decrease the risk of HIV transmission among discordant heterosexual couples by 96%, is potentially a game changer for this question. Other advances he examined included efforts underway to develop new agents that increase convenience and lower toxicity and side effects, and other studies seeking to learn more about how best to prevent transmission and how to improve adherence to treatment, particularly since studies have recently shown that people on HIV medication are now living as long as their peers who do not have HIV. Spotlight on HHS Agencies Implementing the National HIV/AIDS StrategyTwo sessions yesterday spotlighted the efforts of the Health Resources and Services Administration (HRSA) and the Substance Abuse and Mental Health Services Administration (SAMHSA) to implement the NHAS. Both agencies are part of the U.S. Department of Health and Human Services (HHS). HRSA staff presented highlights of their progress on over 60 action steps for 2010-2011 in the HHS NHAS Operational Plan. The majority have been completed or are ongoing, they reported. Ms. Lynn Wegman and Dr. Barbara Aranda-Naranjo, both of HRSA’s HIV/AIDS Bureau, highlighted activities including: 1) adding language to all funding announcements requiring compliance with the HHS HIV prevention and treatment guidelines; 2) implementing a prevention with positives initiative in three jurisdictions, and 3) training staff and grantees about the NHAS and HIV/AIDS. Dr. Rene Sterling of HRSA’s Bureau of Primary Health Care described how current quality improvement strategies for Federally Qualified Health Centers (FQHCs) are being applied to improve care for PLWH, supporting the second goal of the NHAS. A hot topic of discussion was the fate of stand-alone AIDS Services Organizations (ASOs) given the changes being brought about by the Affordable Care Act, the movement toward Patient-Centered Medical Homes, and uncertainty about the future of the Ryan White Care Act. ASO representatives expressed concern about continuity of care, availability of medical case management services and culturally and linguistically appropriate support services, should many ASOs close their doors. Participants proposed solutions for each other and for HRSA including increased technical assistance for ASOs seeking to become FQHCs, and more information about other evolving options for ASOs. Dr. Shannon Bolan of HRSA’s Bureau of Health Professions shared the Bureau’s activities to enhance HIV training opportunities for the primary care work force. Read more about some of these activities in Dr. Bolan’s recent blog post. In another session, SAMHSA shared lessons from several grantees who are among the first to receive Federal support for community-based syringe exchange programs as part of the effort to reduce the number of people who become infected with HIV (see our prior post). SAMHSA authorized these existing grantees to redirect grant funds for syringe exchange programs as long as local public health and law enforcement agencies concurred and the grantees did not reduce drug treatment capacity. Grantees shared that starting at the local community and law enforcement levels, education about and reduction of the stigma towards needle exchange was required. Other lessons shared included the effectiveness of using mobile vans so that outreach activities could occur at areas where injecting drug users congregate, and staffing them with counselors and offering HIV testing. A participant shared that the light at the end of the tunnel for many of the clients who participated in these programs started with engagement through the exchange of needles, which subsequently led to HIV and substance abuse counseling and linkage to treatment and other positive outcomes. Finally, the National Minority AIDS Council created an opportunity yesterday for staff from the HHS Office of HIV/AIDS Policy (OHAP) to meet with representatives from the following communities: Asian American, Native Hawaiian, and Pacific Islander; Native American; and Young African American gay men. Each group shared specific community concerns about HIV prevention and service delivery and sustaining effective programs for their communities. They also requested ongoing dialogue about these issues with HHS officials. Tune in tomorrow for highlights from today’s conference activities. HIV.gov team member Cathy Thomas and friend of HIV.gov Stewart Landers of John Snow, Inc. contributed to this post.